Sacked chairman of the House of Representatives Committee on Appropriation, Abdulmumin Jibrin, says he has instructed his lawyers to file a suit against the Speaker and the House of Representatives over his suspension from the house Wednesday September 28th. 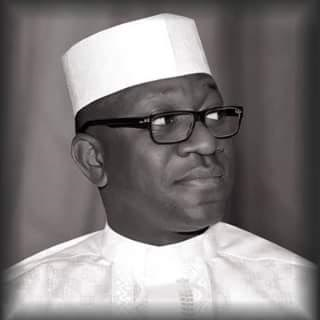 Jibrin was suspended following his refusal to appear before the House of Representatives Committee on Ethics and privileges to address the allegations of budget padding he leveled against the Speaker and 13 other lawmakers. Speaking with journalists in Abuja after his suspension, Jibrin said he fears for the life o those around him as he is fighting a mafia'. "What is very important also is that now they have done their worst, they have suspended me, what has it changed? Has it changed the fact that the speaker conspired with other principal officers to divert N40 billion out of N100 billion meant for constituency projects. Has it changed the fact that he inserted fraudulent projects worth 20 billion? Has it changed the fact that he diverted multi-million naira project to his personal farm? Has it changed the fact that he tried to use the running cost — money meant for running the offices of members — for a questionable mortgage? Has it changed the fact that he diverted FGN project to his farm. The most important thing is that Nigerians saw the entire process, how the motion was passed and what transpired at the level of the ethics committee and entirely the process was flawed and for me it’s a non-issue and complete nonsense and it is not going to stand anywhere in the world. As you are aware the matter is a subject of litigation. I have instructed my lawyer, Femi Falana SAN to file charges of contempt against Speaker Dogara and of course the house of representatives and I’m sure the matter will move over to the judiciary and decision will be taken. I’m pretty sure it will be in my favour. At this point, I must say they freed me up to concentrate on the matter in court; I know the suspension is not going to stand. Secondly, I’m going into a massive alliance with civil society groups, NGOs and well-meaning Nigerian to continue to press ahead. I have said it, not once, not twice that it is not going to be easy. I’m not worried about myself but I am more worried about people around me. I think this is a big issue; I’m fighting a group of mafia, and I know what they can do.